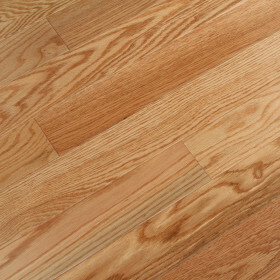 The Vita Bella Plus Collection is a beautiful offering of 11 designer colors of European Oak with very thick, very stable 4mm SAWN top wear layer. 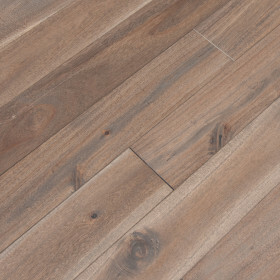 The color of the Messina Oak is a grey-brown with grains highlighted by a hint of off-white along with knots and black mineral characters and brushed lightly with steal and copper wires. With board lengths that are up to 7 feet, your home will have a more natural look and feel to it.